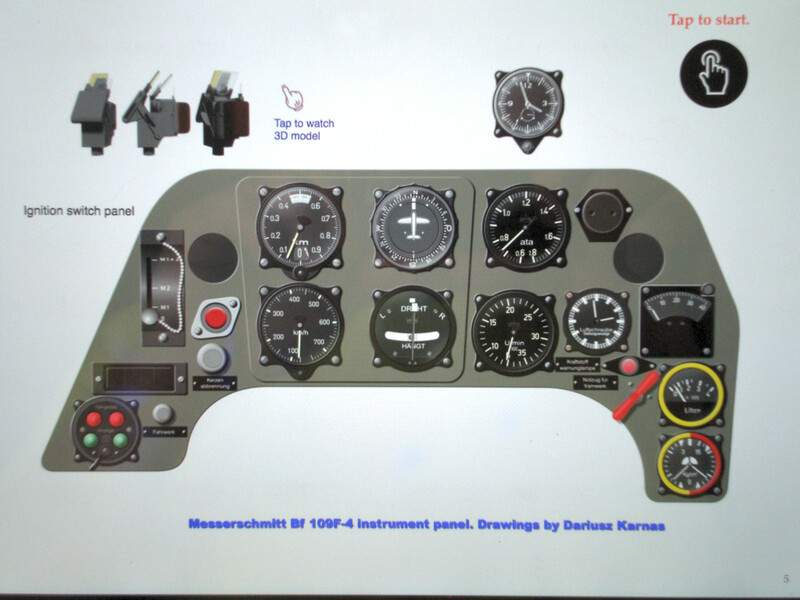 Interactive content allows user to easy access to each separate instrument to see every detail as a high res drawing. 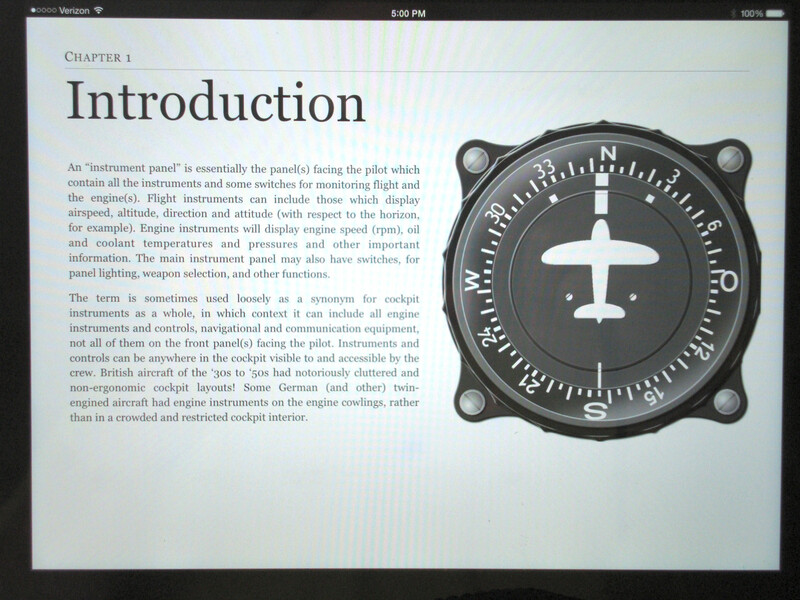 MMP Books has released another title in iBook (iPad) format. We examined their hardcopy version here, and with this release, MMP has made use of the interactive features in the iBook format. 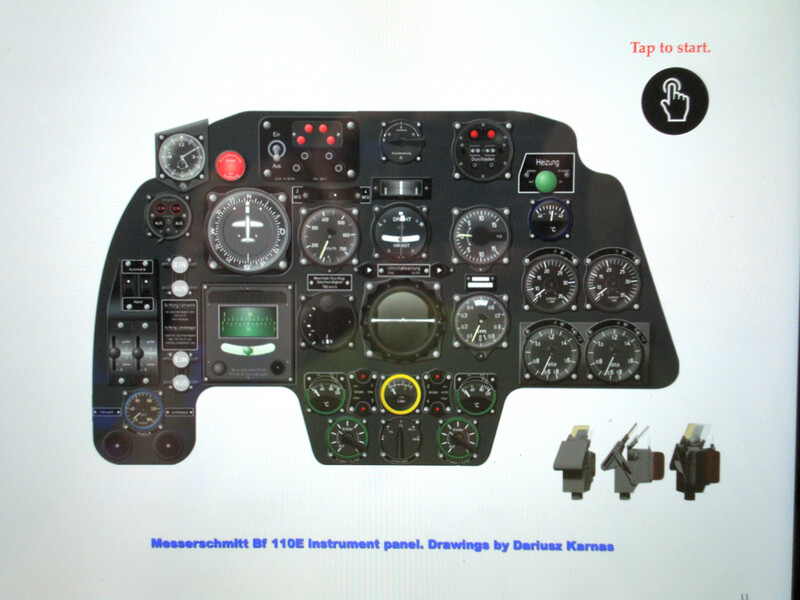 Like the hardcopy version, this title explains a bit about the instrument panels in German aircraft and then shows each of the six aircraft in profile and period photos before presenting an interactive version of each instrument panel. With the first instrument panel covered, in this case the Bf 109F-4, the interactive panel starts with an animation showing that you should tap each instrument of interest and it will show you a much larger version as you can see below. One of the advantages of digital publications like this one is that you can interact (pan and zoom) on high resolution images to get a closer look at details, something you can't do with a hardcopy book. Another is the inclusion of interactive digital models which allow you to examine details closely, something else hard to do in a hardcopy book (unless you're using fold-outs). 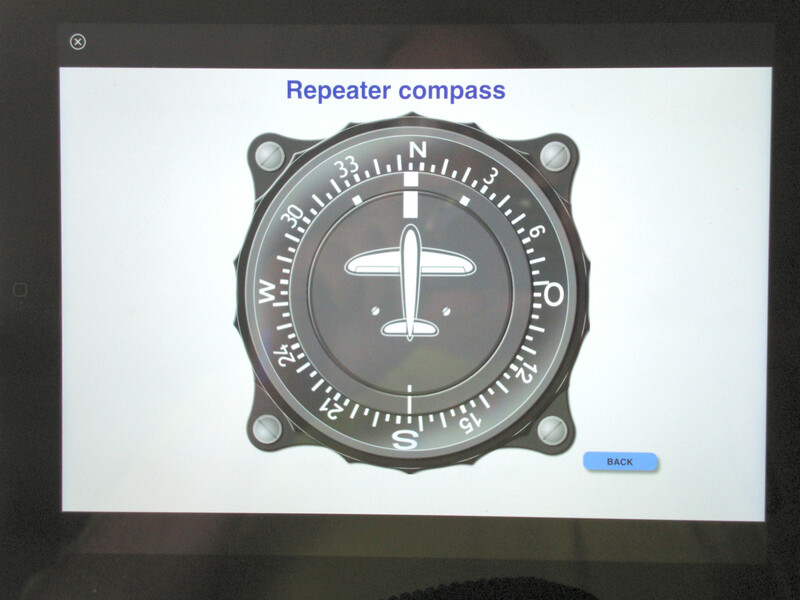 Unfortunately MMP is missing an opportunity to make better use of this digital domain by including side consoles and other switch panels in the same way as these instrument panels are presented. If you're a modeler and you are obtaining this electronic or the hardcopy version of this title for reference, you're not going to stop your detailing with just the instrument panel. Those issues aside, this is a nice reference from MMP Books with lots of good images and graphics. My sincere thanks to MMP Books for this review sample!